An ottoman is a flexible piece of furniture that can enhance any part of your home’s decor. Furniture manufacturers make a wide selection of traditional and chic styles to match any decorative scheme. Some of these stylish footstools also contain storage areas so you can hide everything from books and magazines to video remotes. Push one of these comfy pieces in front of your sofa, and relax while reading a book or watching television. From smaller to larger sizes, ottomans can make a statement in any space, ranging from living rooms to basements. There are many ottoman designs to suit your style or situation. For instance, an ottoman with storage space is ideal for smaller apartments or dorms. Just lift the top, and keep all your books, linens, and other paraphernalia out of site. You can also choose a leather ottoman to complement wood furniture or add a stylish touch to any design scheme. An espresso colored ottoman will look attractive when set against a cream sectional sofa. 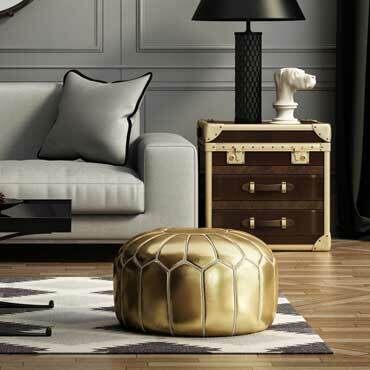 An ottoman can also serve as a decorative piece. Place a small tray on it with flowers or magazines to create a comfortable, attractive feel.